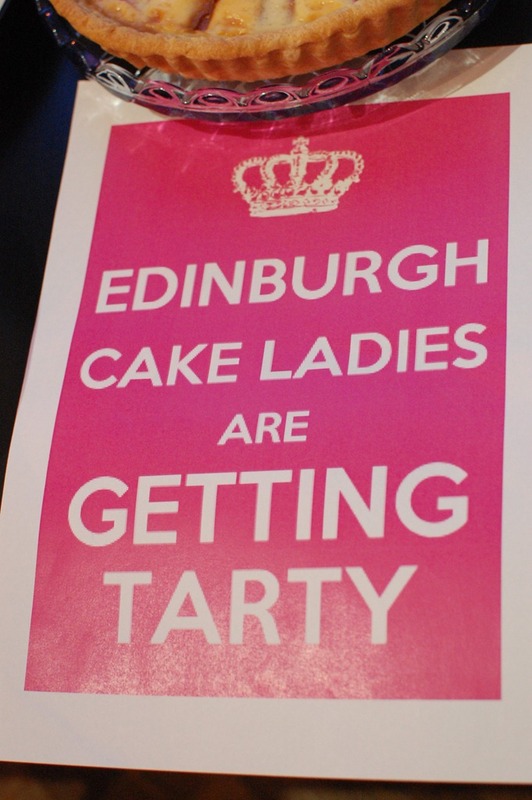 Tonight I picked up the courage to venture forth to a meeting of the Edinburgh Cake Ladies. 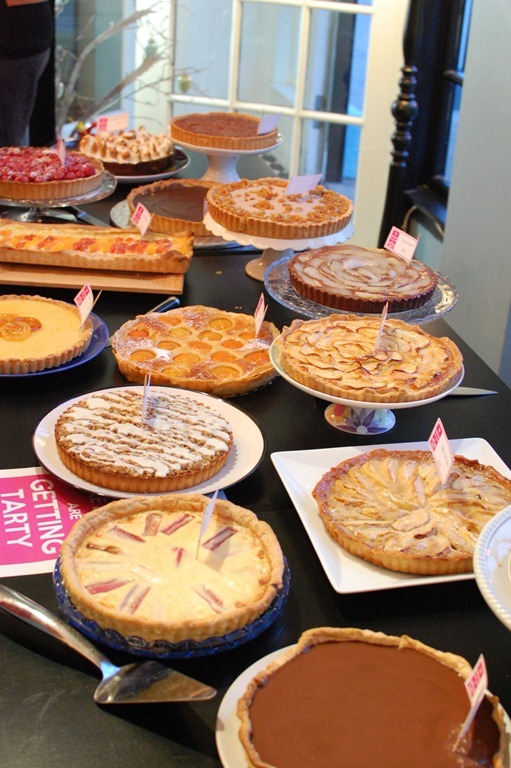 A few weeks ago I rushed to put my name down for this latest event, and realised halfway through the email, the theme was ‘Getting Tarty’, which means only one thing… pastry. Over the last few weeks there have been many trial tarts made (the good old Apple and Amaretto Frangipane that is quickly becoming my signature tart!) and all turned out reasonably well, though I am pretty sure that Stuart doesn’t want to see one of these tarts again for a long long time. 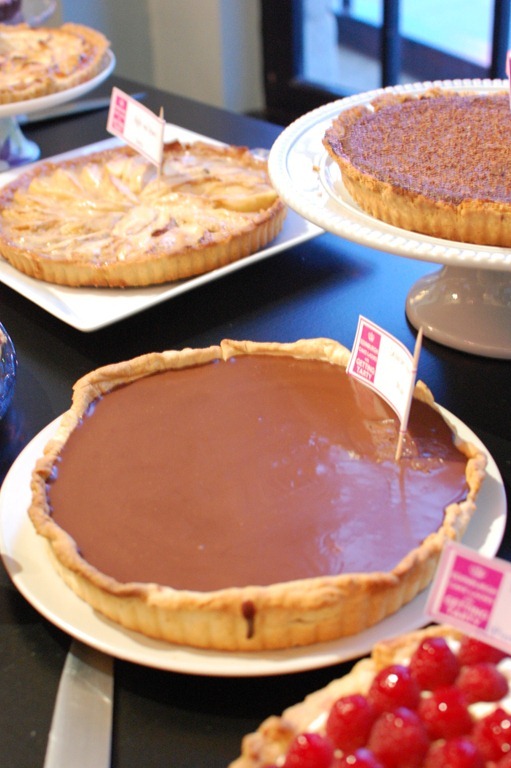 So today, after a day of frantically trying to make the tart, do some actual work and participate in a few meetings, I made it with the tart in one piece to the lovely Mimi’s Bakehouse at The Shore, where 20 other ladies were gathered with their wonderful looking tarts. I have to admit I was a little nervous on coming along as I knew no one, but I need not have worried, before long I was chatting to people, discussing pastry, cake, tarts and…toast. 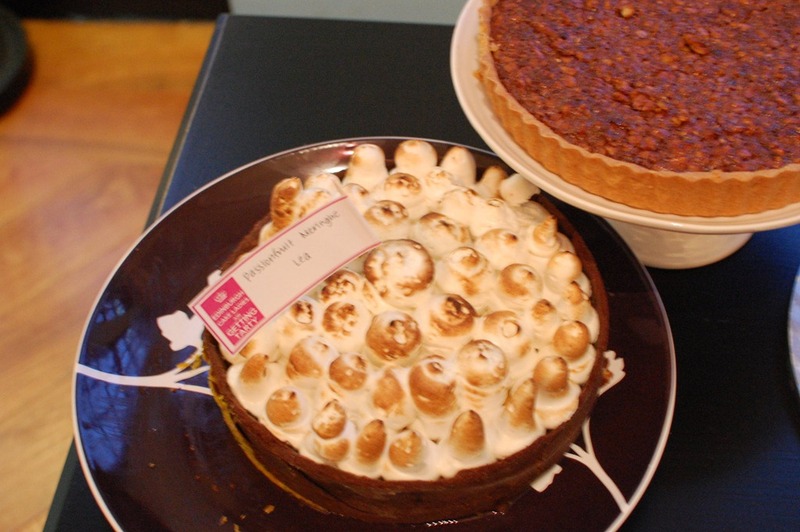 So a brief rundown of some I did try, A Passion fruit Meringue, from Lea Harris – passion fruit, meringue, chocolate…need I say anymore? A Chocolate Orange Tart from Alison, which to be honest I could have quite happily dived into…but I was restrained! 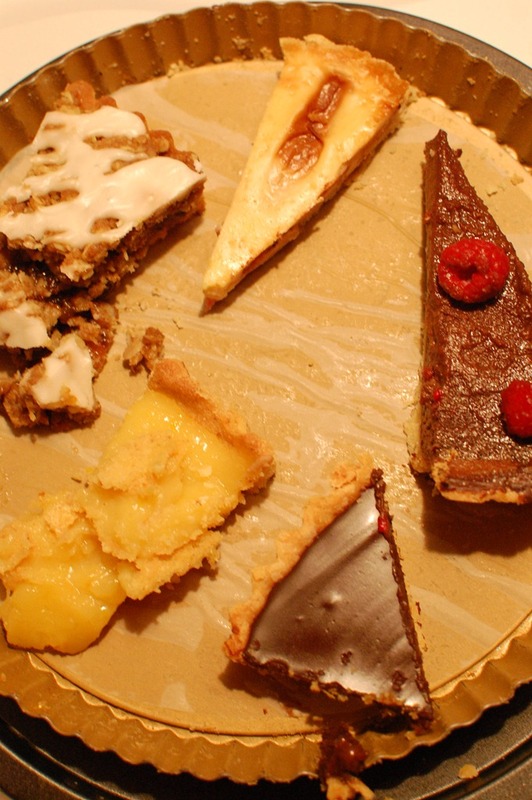 From the bottom left, another slice of the Lemon, Bergamot and Olive Oil tart! 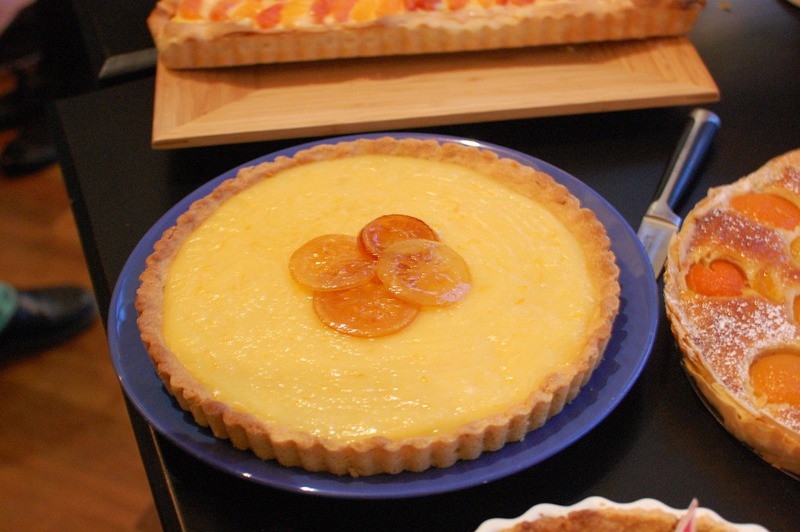 Orange Iced Mincemeat Tart, from Allison Partick. Rhubarb Cream Tart from Victoria Blogg. 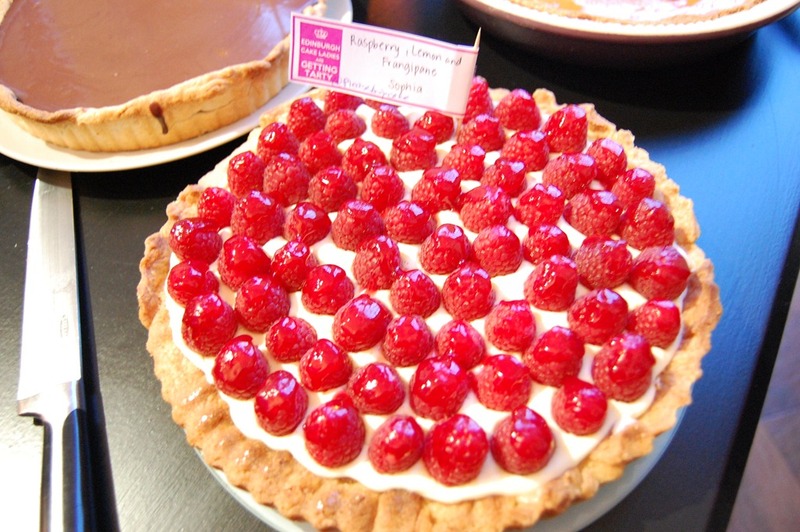 Rich chocolate and Raspberry from Stephanie Stapleton. Rich Chilli Chocolate from Lois Wolffe. I think I’ll save these for tomorrow night, I have enough of a sugar high to contend with, and could really do with getting some sleep! Thank you Edinburgh Cake Ladies for a lovely sugar filled evening! Next PostNext Mac is back!